At Kyrene Family Dentistry, we offer the kind of quality teeth whitening patients need to achieve beautifully whiter smiles. 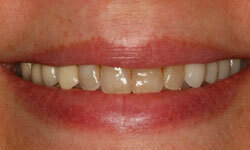 One of the best ways to make a lasting, first impression is by having a healthy, photogenic smile. Our very own Chandler dentist Dr. Shervin Rahimi uses an advanced teeth whitening system that has been specifically designed to help improve the quality of his patients’ smiles, giving them more confidence to go about their daily activities. Kyrene Family Dentistry provides the kind of non-invasive teeth whitening residents prefer over other conventional procedures. It is an excellent treatment for stains that are no longer removed by regular cleaning. There is no surgery and virtually no downtime, so patients can continue with their regular schedule without feeling the need to rest afterwards. Our patients have constantly praised us for our work because of the dramatic results our teeth whitening treatments have provided them. 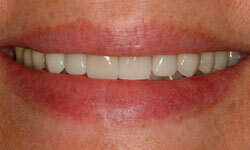 Our goal is to give our patients optimum whiteness but still maintain a natural look. It is important to note, however, that it is not a one-time thing. The effects of this procedure is temporary and is primarily dependent on how a patient takes care of their teeth. Since the teeth is prone to discoloration and staining, patients need to practice preventive maintenance to lengthen the time that they have to visit again for another teeth whitening procedure. The most common causes of stained tooth are those where the discoloration occurs on the outermost surface of the tooth, otherwise called the enamel. While the teeth’s natural color is created by the light received and scattered by the enamel as well as the color of the dentin underneath the external layer, the enamel’s pores can store stains from smoking tobacco and drinking dark-colored beverages such as coffee, tea, red wine, and cola. Other causes include aging and lack of proper teeth maintenance. intake of tetracycline antibiotics among expectant mothers and children below eight years old. At Kyrene Family Dentistry, we don’t just strive to provide the best teeth whitening has to offer, but we also try our hardest to ensure that our clients get the most out of their money and their time. From the moment they step into our office, to the time they leave the premises, we want our clients to feel comfortable and at ease. To learn more about the kind of teeth whitening Chandler dentists recommend, schedule an appointment with us today!